Our residence is housed in a 18th-century palace, overlooking Via dei Rondinelli, the extension of Via dei Tornabuoni, which is the most elegant and refined street in Florence thanks to its magnificent palaces and gleaming shopping windows. 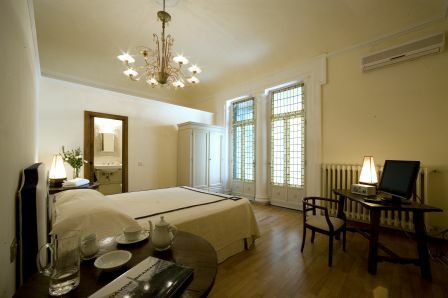 The accommodation facility has been recently renovated and the spirit of the ancient noble palace has been thoroughly preserved. 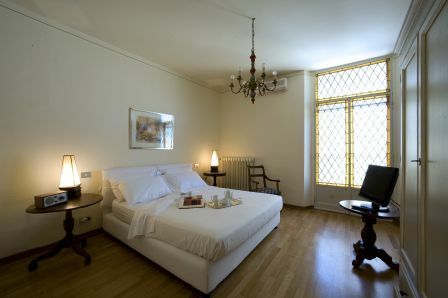 The Rondinelli Stay é composed from four wide and comfortable rooms cured and furnished in the minimums details that fuse the most modern accessories and confort to beautifulst vintage furnitures, all in order to create an atmosphere that we invite you to discover. The rich breakfast can be served in the elegant hall or in the room upon request. Moreover possible to use the wonderful one terrace with deckchairs, table and gazebo where guests can meet up again and even entertain themselves in tranquillity, maybe... tasting an aperitif. 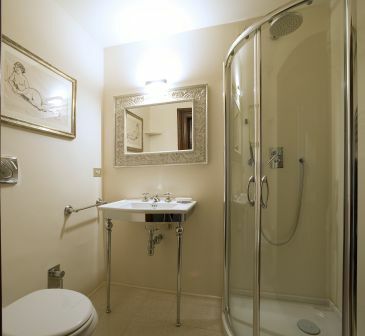 All our rooms have an elegant private bathroom, tv, radio with I pod connection, minibar, air conditioning/heating, safe, private balcony. 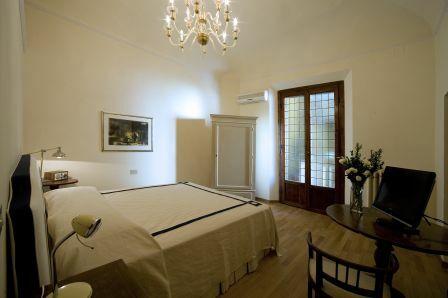 This beautiful B & B will allow you to discover our beautiful city in the best way. We are just in the centre of Florence, at 4 minutes by walk for the train station of Santa Maria Novella and It is at only a few meters from the Duomo, everything is within walking distance and you can reach in few minutes Ponte Vecchio, Piazza della Signoria, Piazza della Repubblica, Piazza Santa Maria Novella, the Uffizi and the Accademia. 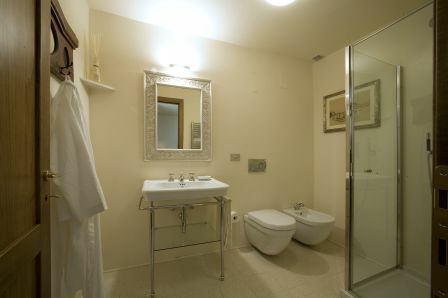 We are just in the heart of Florence just near the Duomo. We are at only 3 minutes by walk from the main train station of S. Maria Novella and there are a lot of bus stops nearby for any destination.